The existing space originally functioned as a multipurpose room, now decommissioned. 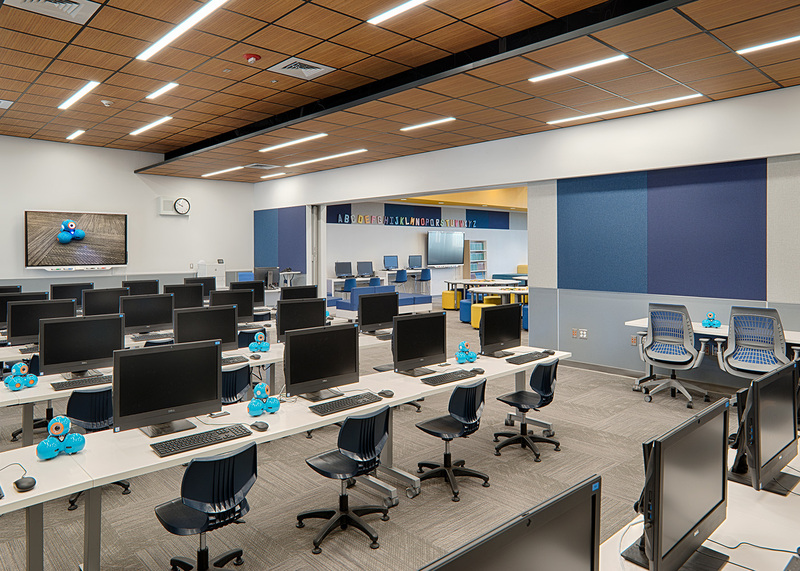 Not only did this school need to provide a space to sit and read, but also needed to function as a robotics laboratory. The robotics lab is built into the computer lab, integrating computer use with the robotics class. 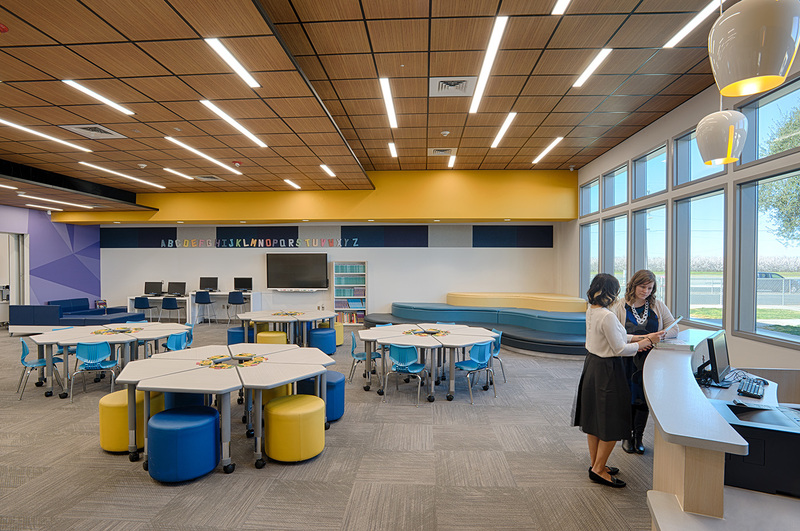 These spaces have also been designed with a plush amphitheater, so students may gather for story time, or break out and have independent reading or study activities. 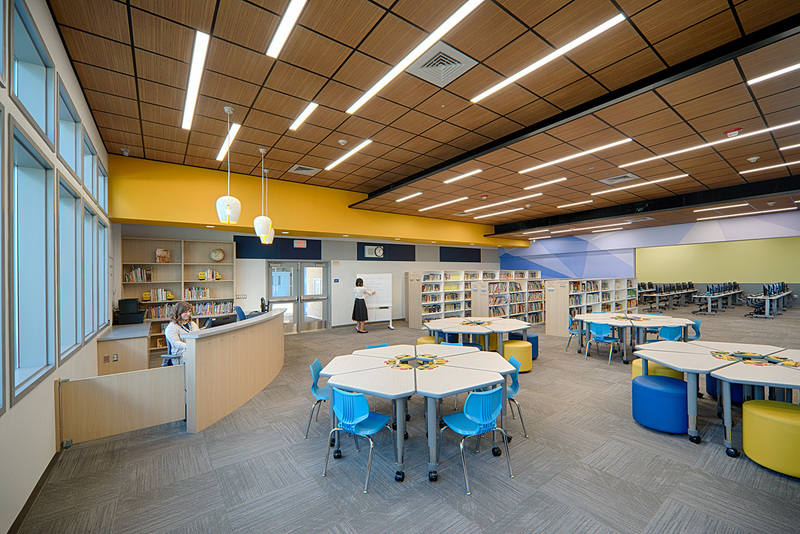 All furniture is tailored for the height range of children in elementary school, providing an ergonomic approach to the design of each space. 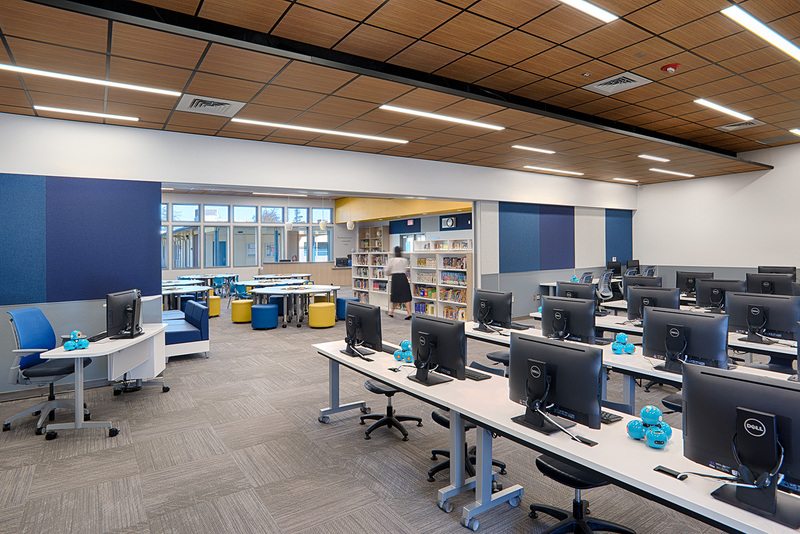 By providing a bright, imaginative space that meets the needs of different activities and learning styles, we have ensured this space will be able to function for years to come.